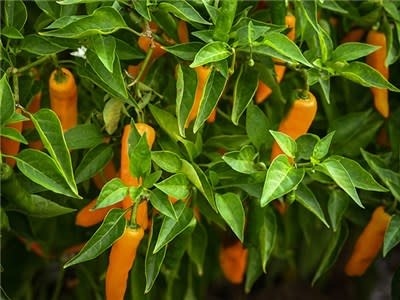 (Capsicum chinense) Renowned pepper originating from St. Augustine, Florida. Local legend says the peppers were brought there from Spain, where they do enjoy a following in Minorca. However, they may also have originated in Chile. 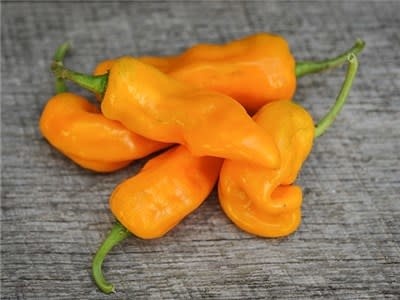 Blazing hot, blunt little 3.5-inch fruit ripens to a brilliant orange yellow. The heat is vicious, being comparable to habanero types, but the flavor is more complex, sweeter and more fruity.